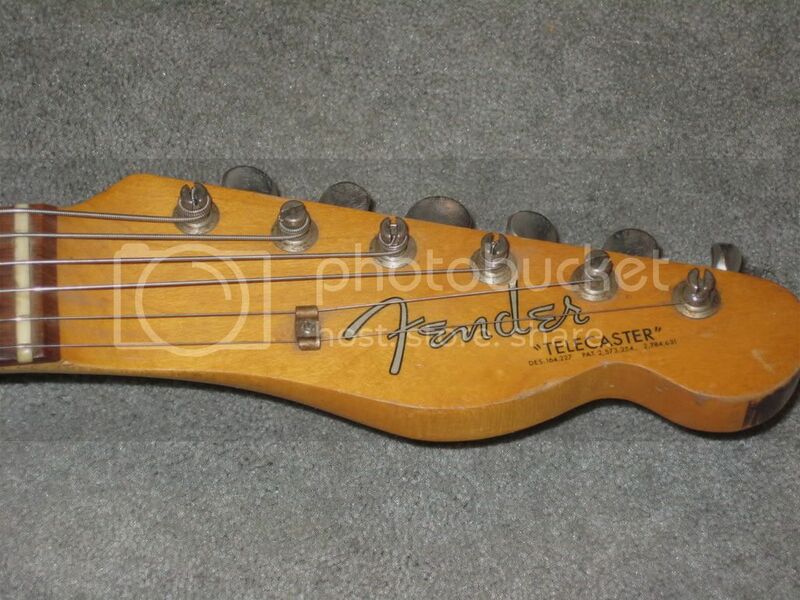 How much is my telecaster worth? Submitted by 1963tele on Thu, 05/15/2008 - 18:25. 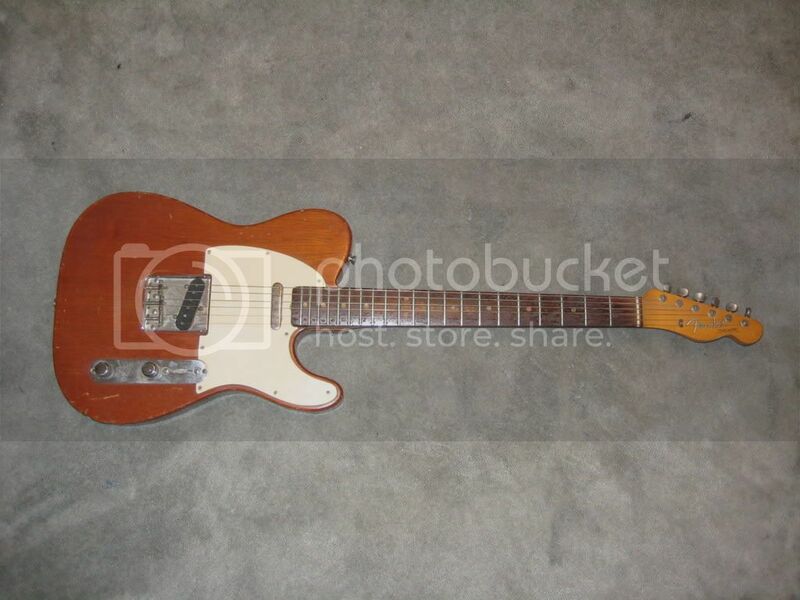 I recently acquired my moms 1963 Telecaster. It is the one that is made of mahogany. It appears to be completely original with no modifications or. It has a descent amount of wear and tear on the body, the black knob on the three way switch and the pickup cover are missing. The case is not original, I think they got the case sometime in the 70's. 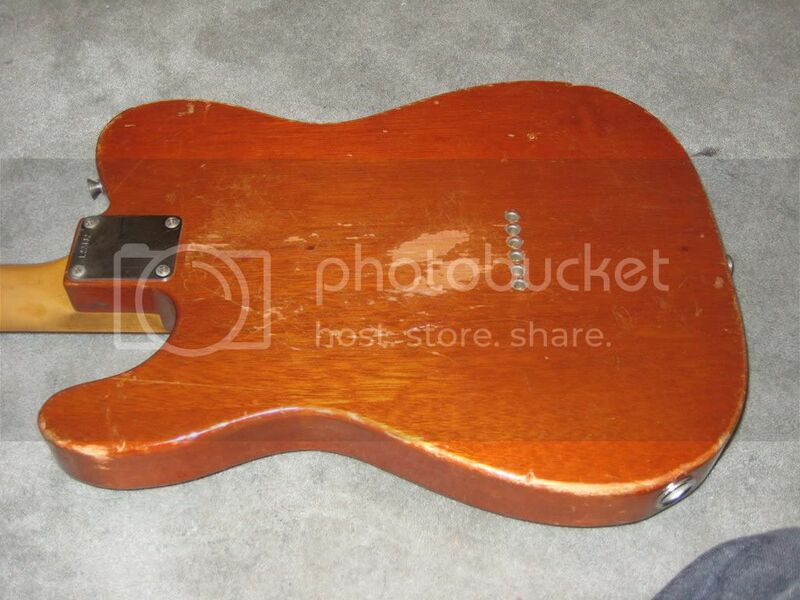 I believe that the mahogany Telecasters were only made in 1963 and maybe 1964, I could be wrong on that. Any information on this guitar would be appreciated. Posted by glw on Thu, 05/15/2008 - 20:21. Posted by 1963tele on Thu, 05/15/2008 - 21:31. I'll take some pics tonight and post them. Posted by 1963tele on Thu, 05/15/2008 - 23:54. Ok, here are a few photos. I'm not really sure how to attach the photos so I hope this works. Posted by glw on Fri, 05/16/2008 - 10:49. I think you're right about 1963/64 being the only period Teles were offered in mahogany. Dunno what it's worth, but it looks all original, has that played-in look that many so-called "relics" try to re-create. I reckon you'd get quite a few bob for it! But are you asking because you want to sell or just curious? Posted by 1963tele on Fri, 05/16/2008 - 15:55. Right now I'm just curious. It has been in the family all of my life but for the right price I might consider selling. Posted by 1bassleft on Sun, 05/18/2008 - 23:47. Hi Tele and welcome to the forum. Just about all of the responses that you got on the Telecaster Forum are correct (apart from that ashtray mistaken for a Bigsby mark). The L22xxx serial could be 1963 or 1964, you say the neck heel is 1963 stamped and the final thing that can be done is to look at the date codes on the CTS volume and tone pots. Even then, it only tells the EARLIEST your Tele could be. Parts could easily be held in stock for several months before assembling. 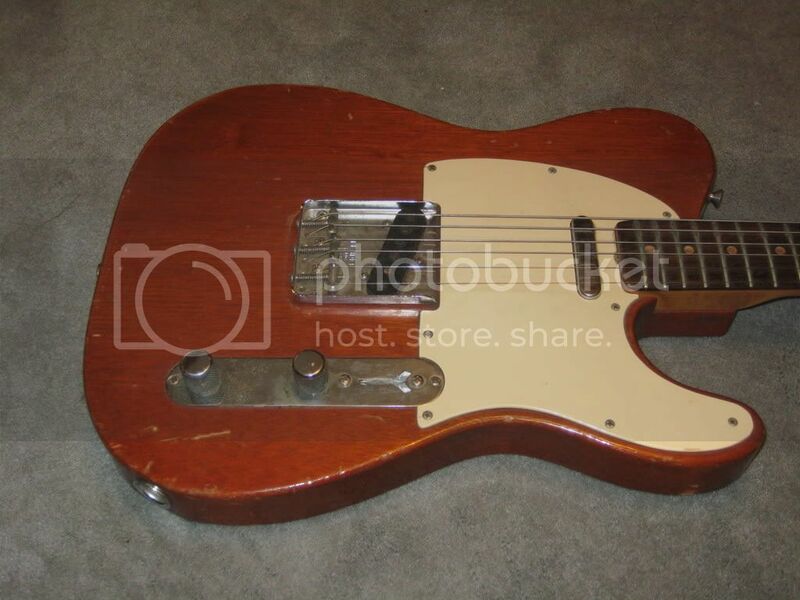 '63 or '64 doesn't matter because you have the golden phrase "Pre-CBS" to describe your Tele. Guitars (and amps) made by Fender before Columbia took them over in 1965 are considered Holy Grail of Fender and, as you've been told, the mahogany body is a rarity. 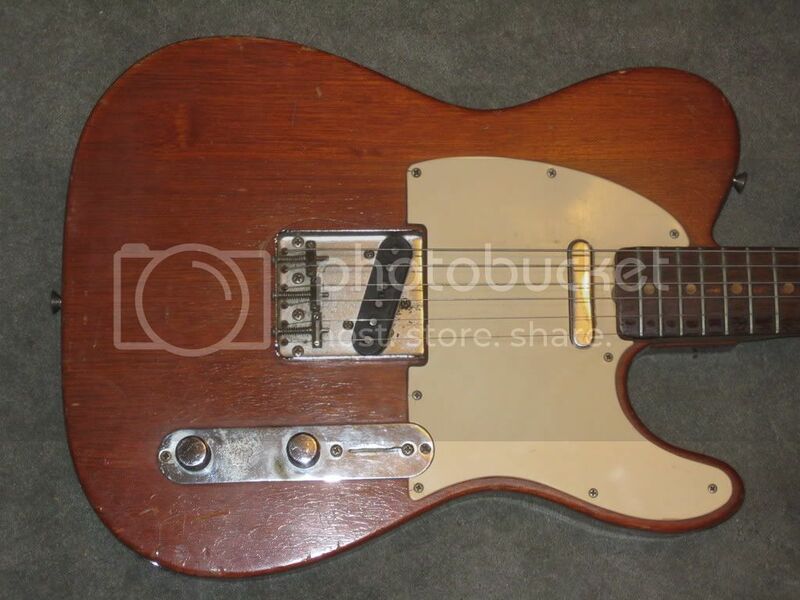 I've seen refinished pre-CBS ordinary Teles sell for $5000 so I do think that $15k could be handed over quite easily by a collector once the credit-crunch thing blows away.